If there’s one part of South Beach that I regularly frequent it’s Sunset Harbour. This neighborhood manages to achieve an effortless, cool vibe that attracts locals and tourists alike. It’s really no surprise when you take a moment to consider all it has to offer. Whether you’re a health nut, a shopping addict or a gluttonous foodie like myself, Sunset Harbour, and more specifically Purdy Ave, is one serious gold mine. So today I’m here to share with you the latest gem in the collection of Purdy’s treasures: Ofa. When I heard about this new Brazilian concept, I was intrigued. I’ve at least dabbled in most South American cuisines, but I had yet to check Brazilian off my list. So I figured now would be as good a time as any to expand my horizons. So being a newbie to this cuisine, I was totally stumped by parts of the menu. But fear not- the friendly staff at Ofa will be there to serve as your culinary tour guide. My waitress opened by eyes to Brazilian food, teaching me a thing or two about the customary dishes and pointing me in the right direction. And I’m sure glad she did. 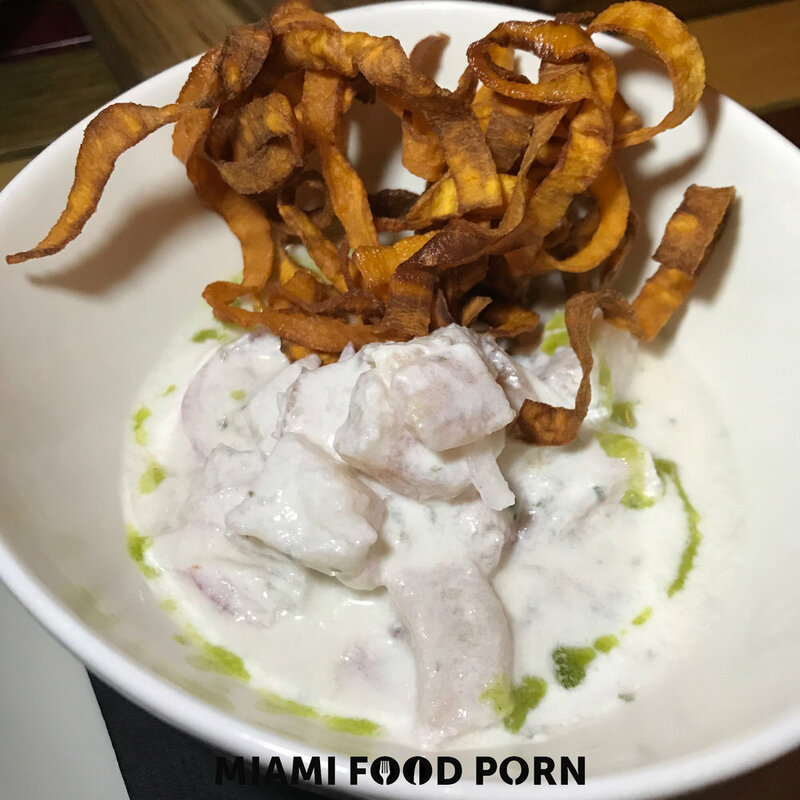 We ordered a variety of dishes, from the tried and true ceviche and fried yucca, to more traditional Brazilian dishes like farofa and picadinho. Say what?! Just trust me, order them and thank me later. Each plate was unique and incredibly flavorful, and we unabashedly devoured dish after dish. I could tell that the staff was truly proud of their culture and their new restaurant, and it showed every step of the way. After indulging in these savory items, it was time for something sweet. While the brigadeiros were a no-brainer, our waitress also recommended that we try the warm guava cake served with a cream cheese sauce. All I have to say is that Brazilians know what’s up. I would legitimately pop into Ofa for that dessert alone- and of course, a Caipirinha to wash it down. So thank you Ofa for popping my Brazilian food cherry. I’m ready for round two.